When I think about what defines me-- those experiences, ideas, and identities that have shaped the person I have become-- one of the first things that comes to mind is my eczema. Even though up to 17% of Americans have the condition, very few are honest about what it is like to live with eczema or the trials and tribulations of treating the complex skin disorder. This weekend, I thought I would address my own eczema history and the methods I use to treat and keep my eczema under control. Eczema, also known as atopic dermatitis, is a condition in which the skin becomes inflamed, itchy, red, and dry. At its most severe, eczema can scale, crack, leak fluid, or even bleed. It’s believed that eczema might be caused by a defect in the skin’s moisture barrier that allows for the skin to lose moisture while simultaneously allowing bacteria into the skin. The condition is exacerbated by allergies and stress though neither factor is the cause of eczema. More often than not, eczema sufferers-- myself included-- have inherited the condition from family members. I’ve had eczema as long as I can remember. Some of my earlier memories are of my mother taking me to pharmacies to get prescription steroid creams formulated for my pink, swollen skin. As young as I was, I knew there was something drastically wrong with my skin which was always sore and itchy; I still remember the disgusted looks people use to give my mother and me-- as though I were covered in boils, or were contagious. Since I have fair skin, even the most minor of outbreaks looked painfully raw and obvious. When I started school, I was frequently made fun of for my eczema-- told that I needed to wash better or told that I had poison oak as other children ran away from me screaming. As I got older, I learned to cover my “hot spots” (my arms and back,sometimes my chest and legs during bad outbreaks) year-round in long sleeved shirts and jeans. Boiling in a dark hoodie during a California summer was preferable to having my condition noticed and judged; even the threat of heatstroke was better than having my eczema seen by others. Even as an adult, I still shy away from exposing any skin in public and rely on hoodies and cardigans to keep my shameful skin secret to myself. About a month ago, I suffered from a massive eczema outbreak that covered most of my body-- from my chin to my ankles-- that’s only recently subsided. During this most-recent flare up, I felt like I was crawling in fire ants and I could literally feel the eyes of everyone around me-- colleagues, my students, people on the street, even the crackheads on the bus-- looking at me and judging me. The week where I was at my worst, I felt as though my skin were betraying me; after years of hard work to keep my condition in control, it was betraying me and undermining all of my efforts. 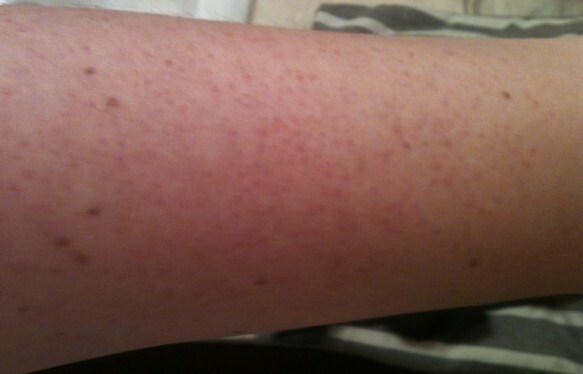 In addition to being physically painful, my eczema outbreak was psychologically painful as well. I’m not going to lie, eczema knocks your confidence: you feel ugly and conspicuous. Besides layering on piles of clothing-- a time honored eczema concealment strategy-- there is no way to conceal the condition; you can’t cure eczema, you can only manage it and learn to live with it. 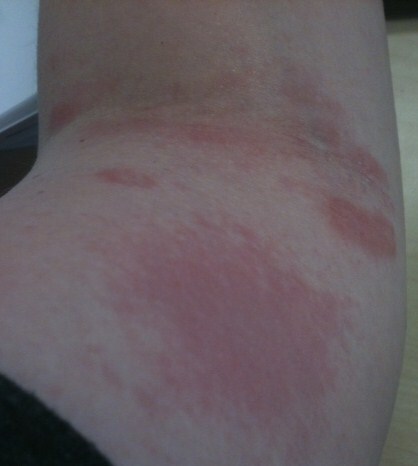 In tomorrow’s post I’ll address how I have treated and come to accept my eczema and my advice to other eczema suffers.